With its diverse landscape, South America is home to many of the world's top destinations for hiking and trekking. It covers almost every terrain you can think of, from the sun-baked Atacama desert, to the luscious green rainforest of the Amazon, the soaring mountains and crisp white glaciers of Patagonia, to the high alpine peaks and volcanos of the Andes. There are many National Parks to hike and camp, as well as beautiful landscape beyond the parks. One of the most popular places for hiking and trekking in South America is the beautiful untouched Patagonian region of Chile and Argentina. Another popular choice is the Sacred Valley of the Inca's in Peru, but If you are feeling adventurous don't let that stop you as there are countless other exciting options to choose from, like the trek to the lost city in Colombia and hiking the wildlife trails of the Galapagos Islands. With so many routes and treks to choose from it can be hard to choose, depending on your skill level, some may or may not be suitable for your needs. Your Latin Routes specialist will be able to advise you of some of the most popular and beautiful destinations to take a hiking or trekking holiday. You can do a day trip or a longer and more challenging trip if you prefer. We recommend you go with a guide or on a group trip but fortunately, there are plenty of options. Below, are some of the most popular parks and destinations for hiking in South America but please ask your Latin Routes specialist for more details as we have a wealth of knowledge about walking and trekking holidays in South America and can help you choose your perfect itinerary to ensure you have a dream holiday wherever you choose. 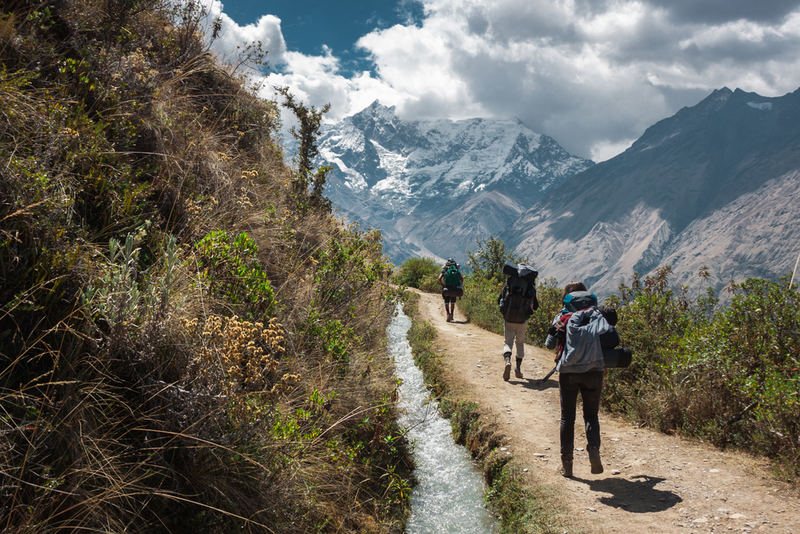 The Inca trail tops the lists of the world's best treks. It is the most iconic multi-day trek in Peru's Sacred Valley and with good reason. Following in the footsteps of the Incas you will begin the trek from just outside the ancient town of Ollantaytambo, walking and camping for 4 days and 3 nights. On the last day you reach Machu Picchu's sun gate, just as the sun begins to rise. There are shorter and longer routes available should you prefer. You will pass through beautiful mountains, cloud forest and see countless Incan ruins, you can see our example itinerary for more details. Although not as widely known as the Inca Trail, the Salkantay and Lares treks are equally spectacular. These less travelled paths make for a quieter and more intimate journey, veteran trekkers are likely to prefer the longer and more challenging 5 day Salkantay trek which takes in 15 different ecosystems, whilst those after an immersive cultural experience will enjoy the authentic encounters with Andean people on the Lares route. You can learn more about the three Machu Picchu treks in our trekking guide. Whichever, trek you choose in Peru you are sure to enjoy the stunning views along the way. If you would like to trek and prefer more luxurious accommodation instead of camping, there are also plenty of options in the Sacred Valley to choose from including the Mountain Lodges of Peru and Explora Sacred Valley. 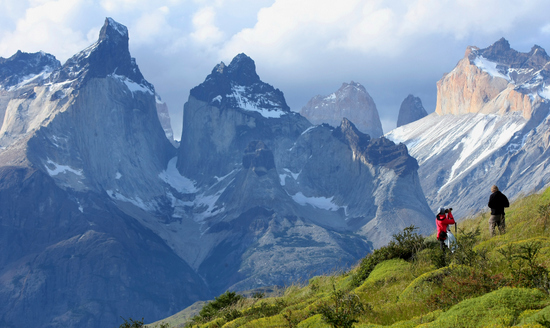 Torres del Paine in Chile, is perhaps the biggest draw for trekkers and hikers to Patagonia. The parks monolithic granite towers (torres) are amongst the most beautiful of its type in the world. There are a number of hotels in the park and the surrounding area which offer excellent trekking and hiking programmes, perfect for exploring this remote part of Patagonia. A popular option is the day hike to the base of the towers. There are also some multi-day options to choose from, including the popular 4-6 day W Trek where you trek along the southern section of the towers. Either camping or staying in refugios (mountain huts). If you have more time to play with, the most intrepid trekkers may wish to explore the northern side of the mountains too, in which case you may consider undertaking the full O circuit which takes in the complete circumference of Cordillera Paine, the journey typically lasts between 8-10 days and rewards hikers with almost perfect seclusion after they complete the 'W section' of the trek. 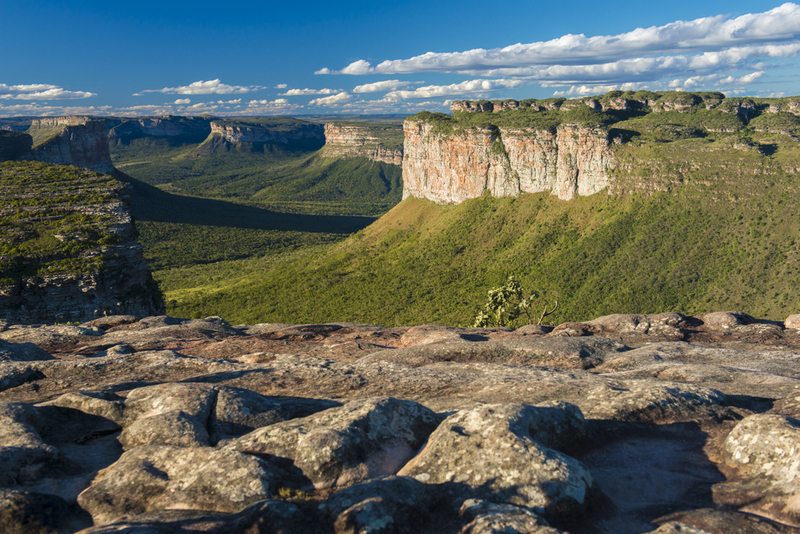 Chapada Diamantina is an off the beaten track national park in the North East of Brazil. This beautiful national park is as spectacular as it is undiscovered. Some of the highlights for day treks include Cachoeira da Fumaça, a 2-hour hike to the top of a 420-metre high waterfall that overlooks the park's stunning savanna. Morro do Pai Inacio (above) provides the quintessential postcard picture of the national park, we recommend visiting this part of the park at sunset when you can see the steep cliffs glowing in the fading light. Poço Azul is a beautiful cave where you can take a dip in the crystal clear waters. There are plenty of options for multi-day treks, the most iconic of which is the Vale do Pati trek, a 4-6 day hike through the park visiting Mirante do Pati, Morro do Castelo, Cachoeirão por Baixo and Cachoeirão por Cima, many of the trails are unmarked so a local guide is essential. The Southern Patagonian Icefield is the star attraction, in Los Glacieres National park, which is one of the most majestic National Parks on earth and one of the most popular and beautiful places for hiking and trekking in Argentina. At the southwest edge of Santa Cruz, it has been declared a World Heritage Site. Adorned with mountains, 47 glaciers, lakes and forests, its no wonder trekkers and hikers from all over the world come to discover this beautiful area on their Argentina holiday. The Perito Moreno Glacier is the most famous glacier and lucky visitors may even get to see it calve. We highly recommend including a mini trek on the glacier as part of your stay, crampons are included and it provides you with a unique opportunity to walk on the ice. One of our favourite trekking destination in Los Glacieres National Park is El Chalten. The wide variety of well-maintained hiking routes and viewpoints make for some of the most outstanding views of two of Patagonia's most famous peaks Mount Fitz Roy and Cerro Torre. Located at the End of the World, this park is one of the most unique places in the world. It stretches over the Chilean border and is a popular choice for hiking and trekking holidays in Argentina. Located in the northern province of Chaco, the Chaco National Park encompasses many different types of landscape including savanna, marshes, lagoons and woodland. There is a variety of bird and wildlife to view also which makes it an interesting and popular place for hiking in Argentina. A smaller National Park but all be it, a beautiful one in the northwest of Chubut province in Patagonia. The park is made up of many regions which include the Patagonian forests, steppe and the High Andes. This is the oldest and one of the most beautiful National Parks in Argentina and sits at the foot of the Andes, bordering Chile and located in the heart of Patagonia. With rich flora and fauna, there is plenty to explore its diverse landscape. This famous National Park is Argentina's gem and probably the most famous routes for hiking in Argentina. On the western side of Argentina in Santa Cruz province, this is the most interesting and diverse National Parks in the country. Surrounded by hills and mountains, the park's landscapes include lakes, Patagonian steppe, forest and a variety of wildlife. This arid desert area covers a large area in the Northeast of San Juan province. The name derived from the rock formations that characterize the canyon. It boasts multicoloured rock formed by sandstorms and is truly mind-blowing! There is much wildlife to see here too.